Rene "Boxer" Enriquez grew up on the violent streets of East L.A., where gang fights, robberies, and drive-by shootings were fueled by rage, drugs, and alcohol. When he finally landed in prison-at the age of nineteen-Enriquez found an organization that brought him the respect he always wanted: the near-mythic and widely feared Mexican Mafia, La Eme.What the organization saw in Enriquez was a young man who knew no fear and would kill anyone-justifiably or not-in the blink of an eye. That loyalty and iron will drove him up the ranks as a mob enforcer and ultimately to the upper echelons, where he would help rule for nearly two decades.Enriquez helped La Eme become the powerful and violent organization that it is now, with a base army of approximately 60,000 heavily armed gang members who control the prison system and a large part of California crime. Arguably the most dangerous gang in American history, its reach is growing.And now award-winning investigative journalist Chris Blatchford, with the unprecedented cooperation of Rene Enriquez, reveals the inner workings, secret meetings, and elaborate murder plots that make up the daily routine of the Mafia brothers. It is an intense, never-before-told story of a man who devoted his life to a bloody cause only to find betrayal and disillusionment.After years of research and investigation, Blatchford has delivered a historic narrative of a nefarious organization that will go down as a classic in mob literature. 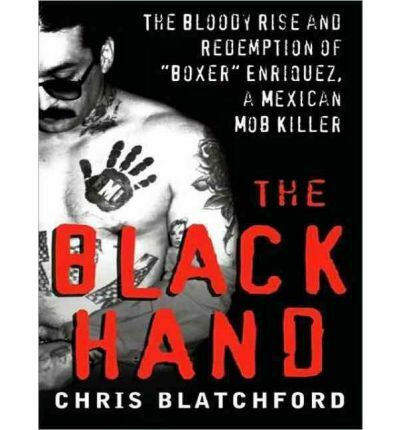 An astonishing and groundbreaking look at the Mexican Mafia, The Black Hand is an unprecedented story of depravity, violence, and redemption. About the Author: Chris Blatchford is an investigative reporter and author of the "Los Angeles Times" bestseller "Three Dog Nightmare". He has won numerous commendations and awards for his reports, including several Emmy Awards and a Peabody for his investigation into Italian Mafia infiltration of MCA/Universal's music and home video divisions. He lives in Los Angeles. Note: the format of this talking book is mp3-cd. This will mean it will only play on computers with CD-ROM or DVD drives or CD players that are fitted to play mp3-cds. It can however be replicated from a pc workstation to an mp3 player like an iphone ipad sony rockbox ipod sandisk or corresponding player.